Annabelle Selldorf has designed a new Marianne Boesky Gallery for Aspen. Rendering of Boesky West including Frank Stella, Puffed Star II, 2014. (Rendering courtesy of Selldorf Architects. Artwork, 2017 Frank Stella / Artists) Rights Society (ARS), New York. New York—based architect Annabelle Selldorf (under her firm Selldorf Architects) has designed a new space for the Marianne Boesky Gallery in Aspen, Colorado. The new 3,000-square-foot project, known as “Boesky West,” will occupy the former cabin of 1800s photographer James “Horsethief” Kelly. Working with local studio David Johnston Architects, the cabin will be reconfigured to serve as a new arm for the Marianne Boesky Gallery, which is located in Chelsea, New York. While the inaugural exhibition is still in the works, the gallery will open in Aspen on March 8, 2017. However, works by artists Frank Stella and Larry Bell, who are good friends with Marianne Boesky, will be on show come March 8. The exhibition will look at the pair’s work in the realm of abstraction, material, light, and space while forming a discussion around their practices. 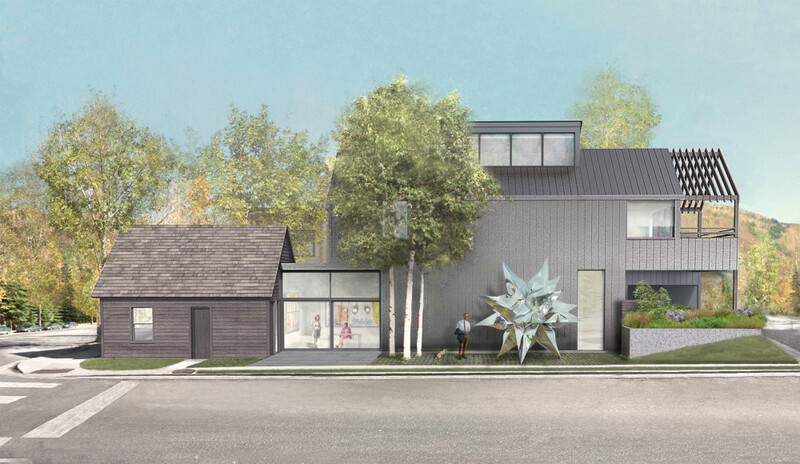 Last year the gallery’s flagship Chelsea location doubled its size to 13,000 square feet and now, with the new space in Aspen, Boesky intends to create opportunities for interaction among artists and Aspen’s dramatic landscape and its cultural community.